What is required to go on my house? For those homes connecting to our Lookout Mountain tower, you will be getting a 18" round dish (think medium pizza). This will allow for speeds up to 50 Mbps. 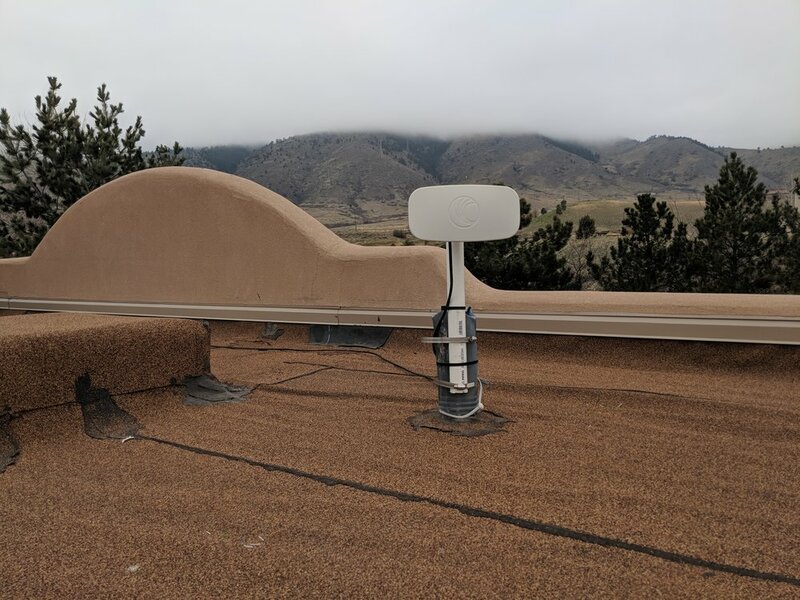 For those connecting to one of our local towers in town, you will likely receive a smaller flat panel antenna - about the size of a shoe. This is because you are much closer to the antenna and don't need the gain of the larger dish. Our in town antennas can provide speeds in excess of 100 Mbps depending on your location. See the examples below. Who installs this? Is there a self install option? We use contracted installers to complete the installation. Many new members have chosen to do a self install or an assisted install to speed up the process. If interested, we can deliver the radio, mount and cable. You run the wire outside, mount the radio and we come back to put the ends on the cable and make sure the radio is pointed perfectly. We'll spend 30 minutes or so with you before we leave the equipment to talk about placement, cables, etc. If you decide to do a self install, you will receive a $100 service credit. If you do not feel like this is an option for you, we will schedule one of our contractors to complete the install. These take around 90 minutes to two hours to complete. Can my HOA prohibit this? Legally, no. Federal law (FCC rule 47 C.F.R. Section 1.4000) prohibits HOAs and other similar organizations from prohibiting the installation of satellite dishes, radio and TV antennas as well as fixed wireless antennas. We fall under the fixed wireless amendment to that law that was enacted in May, 2001. The full rule can be read here. We have installed on a number of homes within HOA boundaries without issues. There is a very good article with lots of Q & A from Cordcutters.com about this question as well. What if I live in an "on network" building? In these buildings, we have pre-installed equipment in the telephone closets and connect our service to the existing data wiring in your unit. 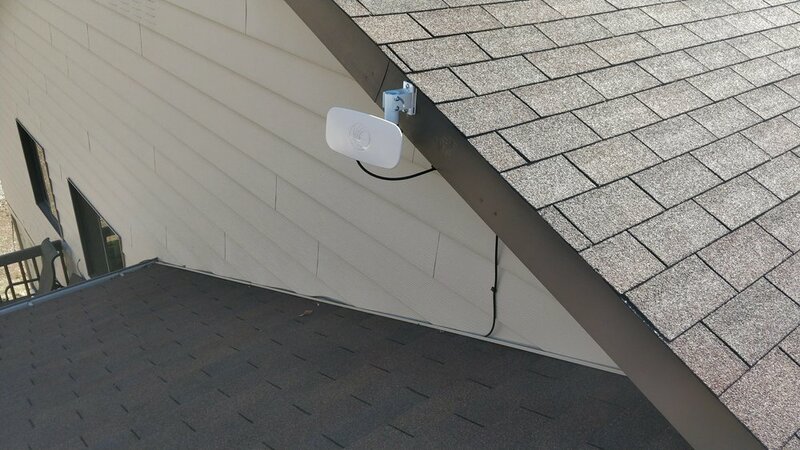 During the install, you will select the data (or phone jack) that we will bring our service to and will need to supply an in-home WiFi router. We will make any necessary modifications to the data jack (if needed) and verify the Internet is working to that data jack. These photos are examples of some recent installations in your area. Your specific installation will vary but this gives you a general idea of what we attach. A dish radio mounted with a tri-pod. This was a liong distance shot that need the height to get above some trees. flat radio mounted to an existing vent pipe with a short extension. this is a frequent installation method.